A huge speculative building in Troutman didn’t have to wait long for a tenant. Florida-based Saddle Creek Corp., which already has a 750,000-square-foot campus in Harrisburg, has signed a lease for the Iredell County building, according to information from MPV Properties, the commercial real estate company handing the lease. The 301,000-square-foot building is being upfitted now for Saddle Creek. That process should be complete May 1, according to MPV. A private investor, whose name wasn’t disclosed, is developing the Troutman building. It has more than 75 truck docks and ceiling heights of up to 38 feet. It’s located on Old Murdock Road about a half mile from Interstate 77. The 301,000-square-foot building is being upfitted now for Saddle Creek. Saddle Creek is a logistics company that uses distribution centers like the one in Troutman for fulfillment and packaging services. It’s based in Lakeland, Fla.
Saddle Creek’s 656,000 square feet of distribution space in Harrisburg is No. 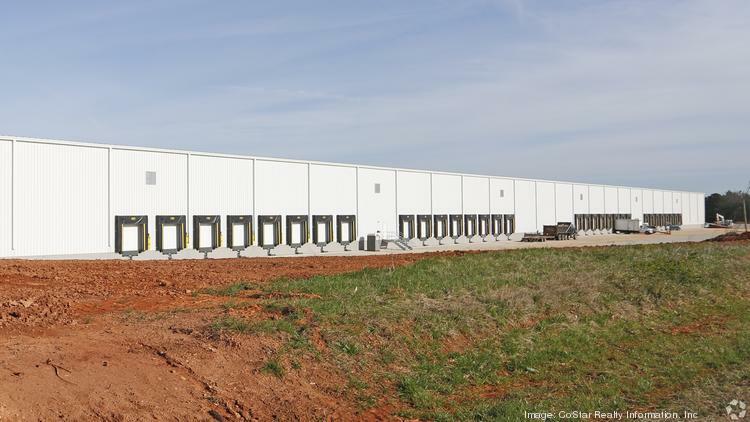 18 on the Charlotte Business Journal‘s list of the largest regional distribution centers. The company employs slightly more than 175 in Harrisburg. In 2009, Saddle Creek spent $11 million to double the size of its Harrisburg campus, adding 300,000 square feet of distribution space at the site. It’s located off N.C. Highway 49 with convenient access to Interstate 85. In May 2007, Saddle Creek hired Charlotte-based Shannon Hooten as senior director of business development. In Troutman, Billy Thomas of MPV Properties represented Saddle Creek on the leases. Matthew Greer and Brad Cherry with JLL repped the landlord.